For this coeliac awareness post, I thought it would be fun to join forces with another blogger, one who has been affected by the twists and turns of this condition. She is a beautiful girl with a wonderful soul, who has had an extremely tough time of it prior, during and even after diagnosis. Casey the College Celiac, is an American blogger that has shared her story with many of us to show just how serious Coeliac disease can be. Casey kindly agreed to do a Q & A post with myself, hopefully, to get someone else's perspective on living Gluten free. 1. How long have you been diagnosed because I understand your journey was a tough one, what was the initial trigger that made you realise something was truly wrong? I was actually diagnosed at age 16, which is five years ago this May. My diagnosis process was relatively "easy" and quick, compared to many people with celiac disease. I had been battling random weight loss, acid reflux, and fatigue for a few months, but my mother was the one who felt like something was wrong beyond just a finicky stomach and urged me to make a doctor's appointment. I was also extremely fortunate to have a doctor who always dotted her I's and crossed her t's, and she immediately ordered a bunch of blood tests, including one check for the antibodies related to celiac disease. However, I did experience more challenges than many celiacs after I was officially diagnosed via biopsy and went gluten-free. For whatever reason (doctors could never explain why), I kept struggling with some stomach pain, acid reflux, and weight loss even after going GF. A month into my first semester of college, I weighed 83 lbs at 5’3” and was hospitalized for malnutrition and vitamin deficiencies. At that point, I was fed through a feeding tube. Thankfully, after around two weeks of the feeding tube, I was cleared to try returning to (gluten-free) solid foods, and I was slowly able to gain weight and eventually thrive on a gluten-free diet. Wow, that must have been so difficult, but I am glad you are happy and healthy now. I know how scary it can be to suddenly have the diet stops working for you, it happened to me at the start of last year. I just dropped weight for no apparent reason going from around 8st 10lbs (122lbs) to 7st 6lbs (104lbs) in just over 4-5months.. They still have no idea what or why it happened.. but thankfully it appears as though all my levels are normal and my weight has settled at around 7st 9-10lbs. I was just happy it wasn't dropping anymore. 2. How did you feel when you got the diagnosis? When my doctor called and told me that my blood test had come back positive for celiac disease, I was happy, at least initially. I had no idea what celiac disease was, but I was thrilled that there was actually something wrong with me that had a name and (I hoped) a treatment. As my doctor began talking about the need to eat gluten-free, though, I definitely started feeling overwhelmed about the extreme dietary and lifestyle changes I'd have to make (being a processed-food-meat-and-potatoes kind of girl who could barely cook a baked potato before my diagnosis). After my celiac disease was confirmed through the endoscopy and colonoscopy, I also went through a grieving process of some sort as I realized how much of my old favorite foods I'd have to give up and how much freedom - in diet, eating out spontaneously, etc - I'd be losing at only 16 years old. I think we can all relate to the realisation of suddenly not being able to eat anything and everything. At 16 years of age, though that must have been very tough, the nurses said I was young at 21! 3. What is the best & worst thing about being a Coeliac? Sorry, you'll have to forgive my spelling, I know you're American and spell it as Celiac. (No worries about the spelling! As a college writing major, I love linguistic quirks like the different spellings of "celiac" and "coeliac.") I think the best thing about being a celiac is how passionate it makes me about food. When you need to know everything about what you’re eating to survive, you’re much more motivated (at least in my experience) to learn some basics of nutrition and cooking. My diet is actually more diverse now that I have to eat gluten-free because losing wheat and other wheat-filled staples pushed me out of my comfort zone and encouraged me to experiment with naturally gluten-free foods I’d never tried before, like dragonfruit and quinoa. On the negative side, the celiac disease makes socializing a lot more challenging. For example, most social club events at my college revolved around pizza or ice cream parties, and it often felt awkward to attend when I couldn’t eat or had to bring my own food. 4. When you started looking at what contained gluten, what surprised you the most? For me it was makeup, lipsticks, in particular, I am such an addict and realising I had to now make sure that they were gluten free was a real shock! I think I was amazed at how gluten can also hide inside shampoos, conditioners, moisturizers, etc. Although I know some celiacs feel comfortable using any shampoo or conditioner, I’m always paranoid about getting it in my mouth when washing my hair or of touching my lips with freshly moisturized hands, so I stick to gluten-free brands. However, I was also stunned to be shopping one day and see “paper plates” made out of wheat instead of trees to be more environmentally friendly. A celiac’s worst nightmare for sure! That certainly is, I saw an ad on Facebook the other day about spaghetti straws! Great for the environment and all but how do we get around the bar staff just shoving one in willy-nilly and then just taking it out and handing the drink back without giving us a new one? 5. Have you ever been glutened because of a rookie mistake? I know I made a big error a few years after being diagnosed, I thought a pack of cheese crackers was safe, however after getting a reaction whilst eating them I re-read the packet. To my horror, I realised it said WHEAT free only, not gluten-free! After that, I always check that it says both or just gluten-free, as it turns out I can actually tolerate wheat, but not all of us coeliacs can. My rookie mistake was assuming that a probiotic brand I’d been using for over a year was still gluten-free and not checking the packaging details until I’d already taken several of the probiotics. A big reminder to always double-check if a product is gluten-free, even if you’ve purchased that brand before and it was previously labeled "gluten-free." I would tell them that celiac disease is a serious chronic illness that can cause over 300 symptoms as well as serious health problems like cancer if it isn’t diagnosed or if someone with celiac disease doesn’t follow a strict gluten-free diet. 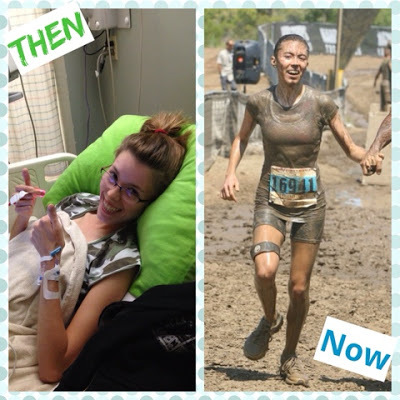 My hospitalization is proof that celiac disease can cause serious health issues, and it breaks my heart to read of other celiacs who experienced years - or even decades - of health problems because of undiagnosed celiac disease. For some people, the gluten-free diet is a “lifestyle choice.” For people with celiac disease, the gluten-free diet is a necessary medicine. I would also tell them that, although celiac disease isn't a food allergy and people with celiac won't go into anaphylactic shock if they ingest gluten, celiac disease still can cause serious consequences (and some very not-so-fun temporary symptoms, like rashes or stomach problems) if a gluten-free diet isn't adhered to. The more people (including doctors!) who know about what celiac disease is and how dangerous it can be when left untreated, the more people will be properly tested, diagnosed and able to thrive with this chronic illness. I honestly couldn't have said it any better myself! I definitely wish there was a cure so that I wouldn’t have to worry about my future children (if I have any) or future generations struggling with the same challenges I am. However, even if a pill was released that let celiacs eat gluten safely, I'm not sure if I’d go back to regularly eating gluten. I would love to have a medication that could keep celiacs safe from cross-contamination, though. That would be amazing, especially while eating out or traveling. That would certainly be an intriguing idea. I know traveling has been a real worry for me. 8. What's the funniest thing to have happened to you since becoming a Coeliac? I have had several silly questions that have left me in stitches, such as does an orange contain gluten? Finding the best Viennese swirl biscuits and coming home to find my Dog had eaten them all... at least she enjoyed them. I think the “funniest thing" to happen to me as a celiac is just navigating the dating world overall. I always try to make a joke out of the fact that a guy needs to brush his teeth before kissing me if he’s recently eating gluten, and I especially get some laughs when I point out that all of my previous significant others’ dental hygiene certainly improved while they were dating me! I would have to agree with you on that one! Dating can be so difficult, even just meeting new people who have no idea what Coeliac's is.. but then we have to push on and keep trying don't we otherwise we will never get anywhere. Thank you, Casey, for helping me out with this post, does any of this ring true for you? Wow, I didn't knew it's coeliac awareness month! Maybe because in Europe especially Eastern Europe people treat us like "you're not sick, you just have too much money so you spend it on another 'healthy' diet". It pisses me off but it's way better now, socializing is still a challenge for me since there's no gluten-free restaurant in my area and I'm always scared of traveling because I feel like the safest thing is to make my own food. Hi, Technically it's not Coeliac Awareness Month here in the UK, it's in the US. I just thought that I would jump on the bandwagon, because at the end of the day I think we should have a month of awareness. I completely understand where you're coming from though,people can be so ignorant and it is still hard for me to socialise. I have a wedding reception this Saturday and am still having to make a mental note to eat before hand because I know there won't be anything there I can eat, or even if there is, it will be in a buffet setting so there's the cross contamination issue. It's hard, even though there is a lot of us out there we never seem to cross paths socially. Stay strong lovely.